A delegation of 12 members from Bangladeshi consulate visited to Hindalaga Jail after seeking permission from Jail authorities to enquire the 12 Bangladeshi accused imprisoned in Hindalaga prison. Presently this case is being investigated by internal security division. 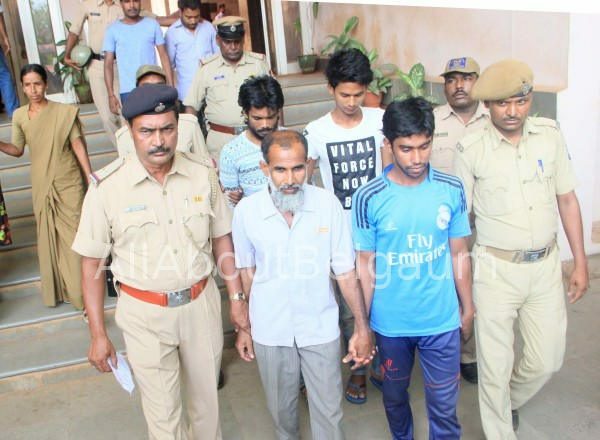 The 12 accused Bangladeshi are facing charges of entering in India without passport, possessing fake Adhaar card and other documents by which they were able to get Passport. Currently the matter is been investigated and then the Case hearing would commence and they would get consular access from the Bangladeshi consulate during the course of the hearing as well. However they would only be released after the court gives its decision. We are following Geneva convention, not like Pakistan.